The Vice President, Prof. Yemi Osinbajo has expressed hope that Nigeria will surely overcome its many challenges. Osinbajo said there was hope for Nigeria despite the nationwide hardship beinng experienced under the current government. He gave this message of hope while speaking when he received a delegation of the Muslim Lawyers Association at the Presidential Villa on Tuesday. 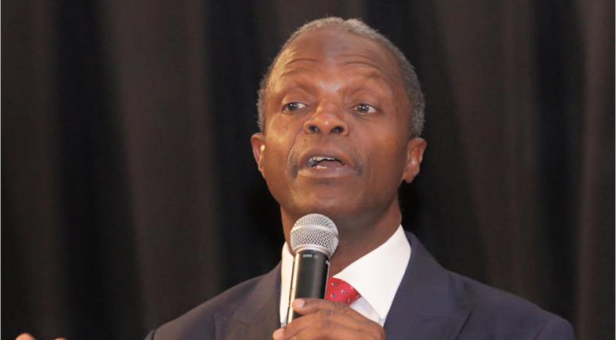 Prof. Osinbajo said the N500billion Social Investment programmes of the President Muhammadu Buhari presidency was a means to energize the economy and deal with issues of poverty in the country. “All these are ways and means of energising the economy and deal with some of the harshest problems like poverty,” said the Vice President, while also adding that despite the current economic conditions in the country there was great hope. The Vice President said both the President and himself were committed to a new united Nigeria, populated by a ‘New Tribe’ that would be united across otherwise divisive lines be it ethnic or religious.